Thousands of people took to the streets in Togo on Saturday in the first anti-government protests of the year, as supporters of President Faure Gnassingbe staged counter-demonstrations. The veteran opposition leader Jean-Pierre Fabre said the date was chosen because Saturday was the 55th anniversary of the assassination of Togo’s first post-colonial president, Sylvanus Olympio. Fabre described it as a “fateful date” of broken dreams when “violence and deception entered the country’s political history”. Similar protests were held elsewhere in the former French colony, as well as in Berlin and Washington by the country’s diaspora. 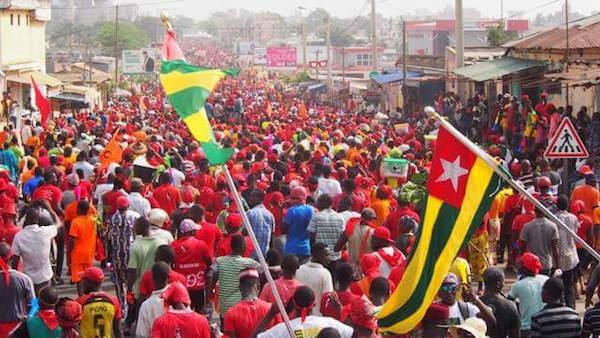 Supporters of Gnassingbe’s ruling Union for the Republic (UNIR) party took to the streets in seven cities outside Lome. UNIR executive secretary Aklesso Atchole called the mobilisation “marches for peace”. “These marches also aim to support the actions of the head of state,” he said. Several West African countries have called on Gnassingbe and the opposition to meet for talks under the supervision of Ghana’s President Nana Akufo-Addo and Guinea’s Alpha Conde.